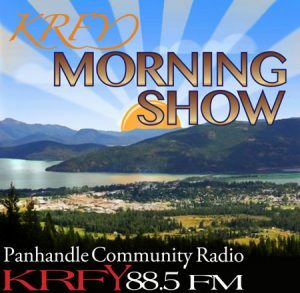 Rob and I had the distinct pleasure of being on the KRFY morning show hosted by Jack Peterson today. We had lots of fun talking about filmmaking in Sandpoint, several current and past projects as well as some of the films that are in cue. If you did not have a chance to tune in this morning, you can listen by clicking the link below. From the outside, they look like there must be several levels or floors to the structure, but that is actually not the case. 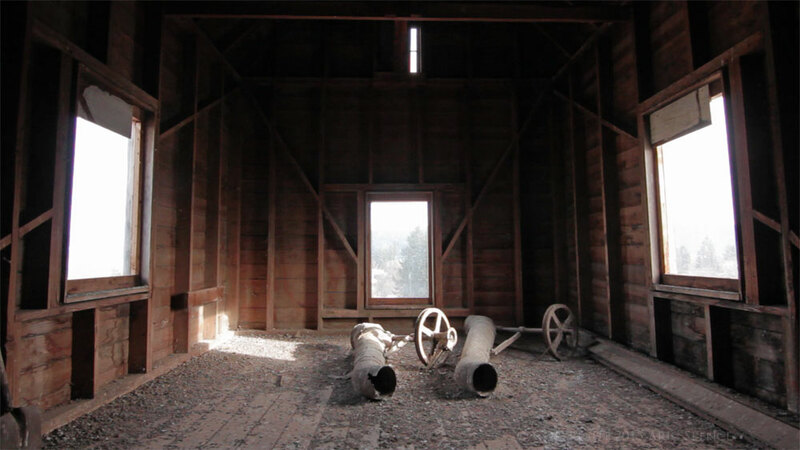 The grain bins are several stories tall and there are no levels to speak of except for two near the very top where a rotatable chute would allow the operator to choose which bin the grain being elevated was to go. 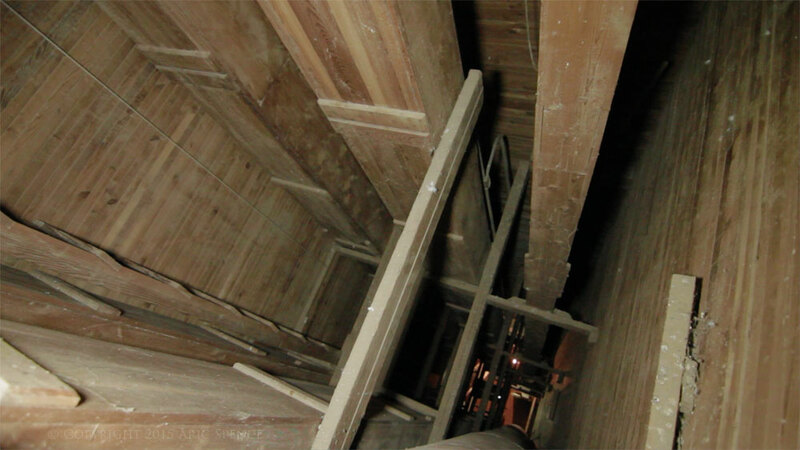 You can only access the top by climbing roughly 80 feet up a wooden ladder. The first level you reach is the right below the top level and since the windows were boarded up, there is no light to speak of, save for the battery powered lights I brought with me. This level is where the tops of the multistory bins are located. 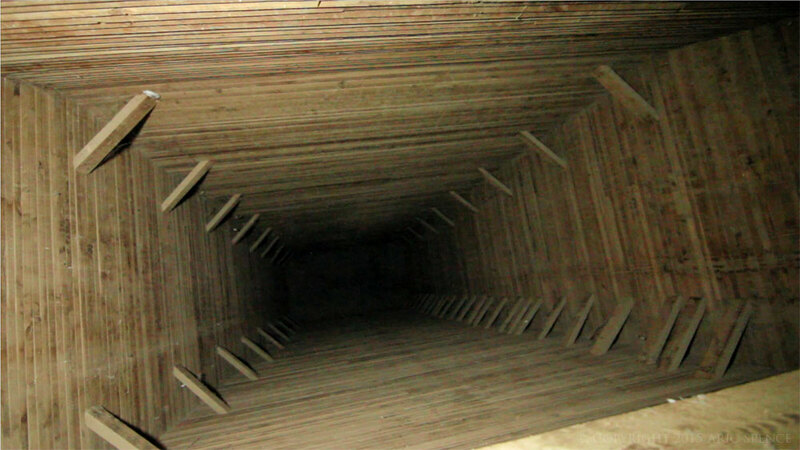 An operator would have accessed this level to service the chutes and take inventory of how much grain was in each bin. This is also the level that contains the metal chute that was used for directing grain to the awaiting train cars on the east side of the elevator. Next, it is up another wooden ladder to the top. The reward for overcoming my initial fear, which hit me at ground level by the way, was literally a birds eye view of Sandpoint from the tallest building in town. It is hard to describe my elation of finally being above the Panhandle State Bank Building, or whatever it is now called. SIMPLY AMAZING! I still have a lot exterior filming left to do, but just thought I would share some initial visuals of the grain elevator short film project. 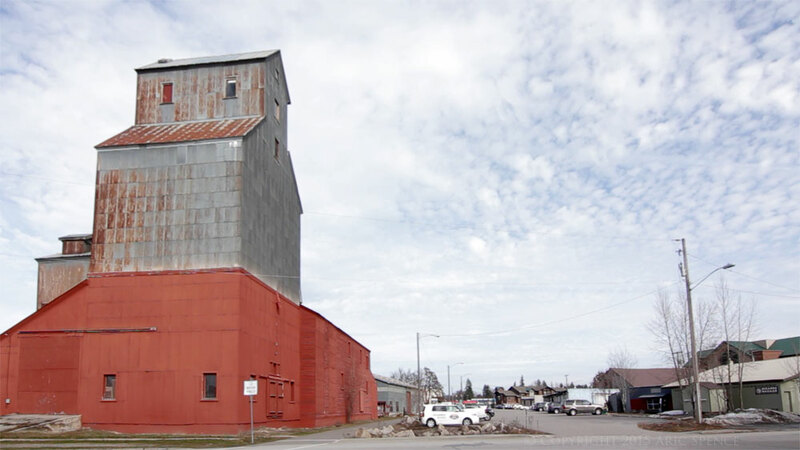 The Co-Op Grain Elevator in Sandpoint is without a doubt one of the few historic gems our town still has left. Remembering and honoring where we came from is so important to navigating our future. Thanks for reading. Want to be part of projects like this in the future? Sign up to become a member of Sandpoint Filmmakers Network and join nearly 30 other creatives who have an interest in helping each other make films. In my ongoing efforts to film more, I have been looking for every opportunity to get out and capture local footage. 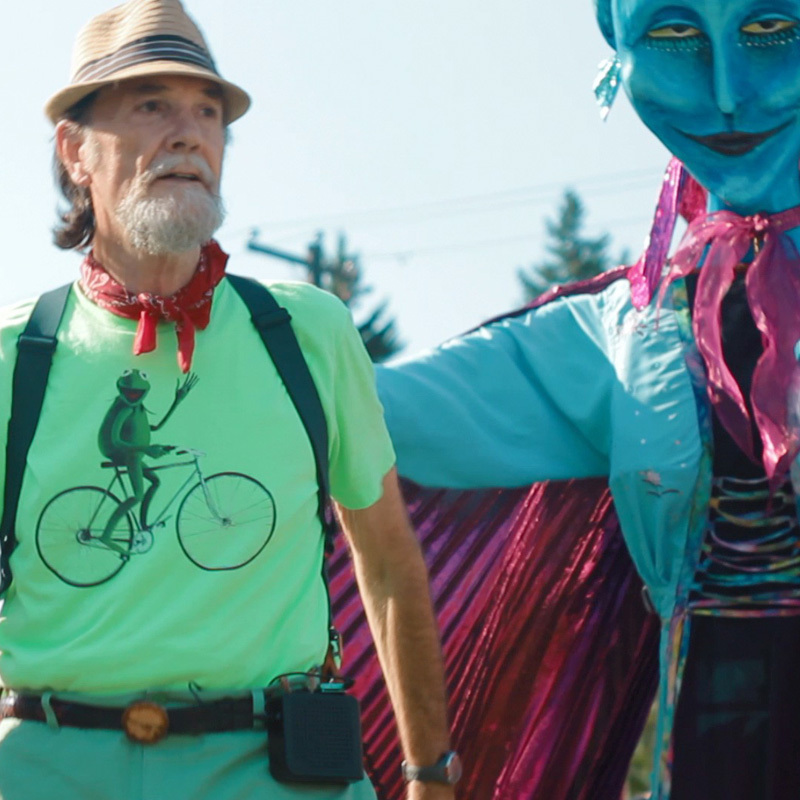 Last Sunday, I had the distinct pleasure of filming the Dancing Duck Man and Andorra his blue 9+ foot alien companion at the Festival at Sandpoint “Family Concert”. I have known Jerry Luther for more than thirty years, I first met him when I was around ten years old when he was selling “Hooey Sticks”, back when the Cedar Street Bridge was filled to the brim with artists and crafts people and the draft horse powered carriage would give people a tour of town every hour. Downtown Sandpoint was really a very special place back then. Perhaps in a future outing, I can film Jerry to do the “Hooey Man” pitch complete with bumpy propeller stick and all. It was so much fun to finally be able to get some video of the Dancing Duck Man. It is quite magical to witness first-hand how the kids react to his ACT. To start it off, I got some decent interview footage, except for background noise from the “Instrument Petting Zoo” that disrupted some of the audio, oh well. Not to worry, the real magic is in the performance. The Dancing Duck Man and Andorra started off by wowing the kids in line who were waiting for the gates to open. There is something truly special about seeing children interacting with a live performer. I think the experience is even more important these days with all the electronic static that seems to fill every moment of most children and adults time. One thing I love about the small form factor of DSLR cameras is that most people think you are just taking photos. The smaller size seems to help people be more at ease and natural than if I had a huge and intimidating video camera. I shot nearly all of the footage from the height perspective of a child trying to always be in a position to capture special moments as they unfolded. As with all outings, I learned a ton and will put the lessons learned into bettering my next filming opportunites. 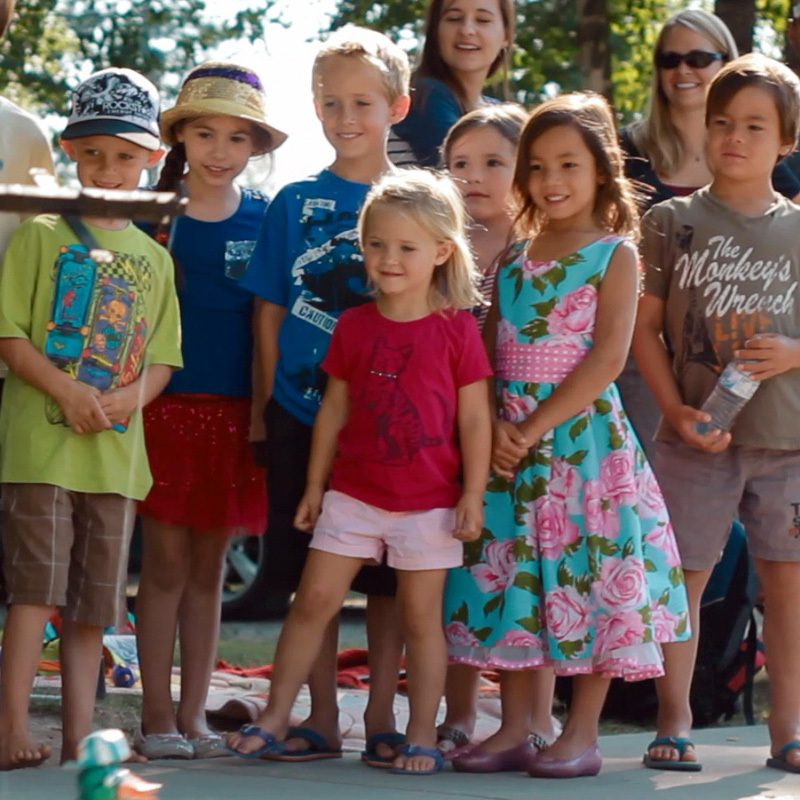 Here are four things that may help others using a DSLR camera for live performances. Use a tripod with a fluid video head. Some of my footage has movement, but nothing close to the shaky-cam type of footage I would have gotten without a tripod. This goes without saying, but use manual focus. There is nothing worse than a computer hunting for focus and trying to decide what you want to focus on. I also find that having a focus handle attached to my lens to be a wonderful tool for this type of shooting. Pick the f-stop you think works best for what you are trying to capture and use a variable ND filter to dial in exposure when the lighting conditions change. If you shoot with a Canon camera, check out Magic Lantern’s free firmware tool. I could not do this type of video footage without it. Magic Lantern does focus peaking, spot metering and Magic Zoom among a multitude of other video centered features that Canon really should have included in their cameras from the start. What is next in cue? Two items I still have to edit are the Chautauqua that came through Sandpoint and the Sandpoint Fly-in which I shot last weekend. Not sure when I will have time to do them, but they will be posted in the blog when they are complete. Want to be part of future projects like this or perhaps you just want to get more familiar with the video capabilities of your DSLR or mirrorless camera? Join the no-cost Sandpoint Filmmakers Network and become part of a pool of local resources for making films in Sandpoint. Feel free to comment below, just be sure to solve the SPAM prevention math problem before submitting your reply. About Sandpoint Filmmakers Network: Sandpoint Filmmakers Network (SFN) is based in Sandpoint, Idaho. Founded in 2014, SFN is making it easier for filmmakers to share knowledge and skills while practicing various aspects of filmmaking.